This new project will consist of apartments all equipped with 2 or 3 bedrooms, 2 bathrooms, pre-installation air conditioning and an alarm system. All properties can make use of the beautiful landscaped garden and the spacious communal swimming pool. The apartments have a beautiful panoramic view over the swimming pool, the green surroundings, the salt lakes and the coast. 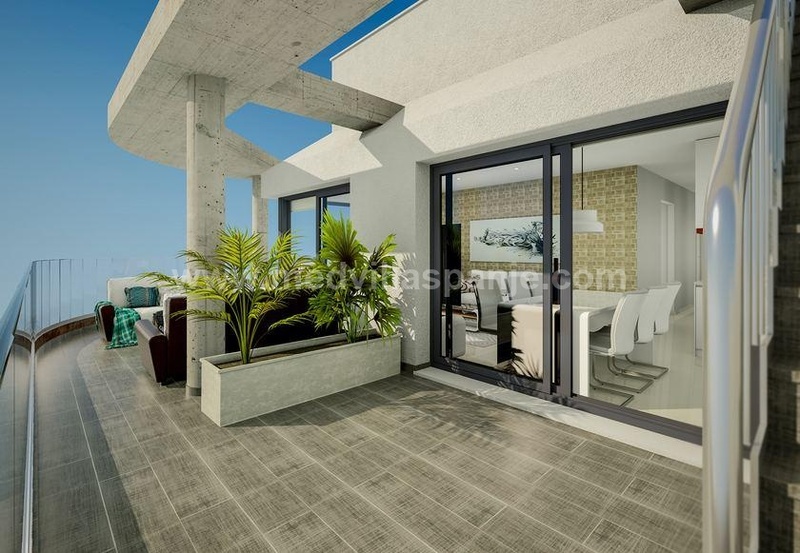 Located 7 kilometers from the beautiful sandy beaches of La Zenia, in the vicinity of Villamartin Golf, Campoamor Golf and Las Colinas Golf & Country Club and at 6 kilometers from La Zenia Boulevard. The nature park and the salt lakes of La Mata are also just a stone's throw away. In terms of accessibility, these homes enjoy an excellent location; 20 minutes from Murcia airport and 40 minutes from Alicante international airport.